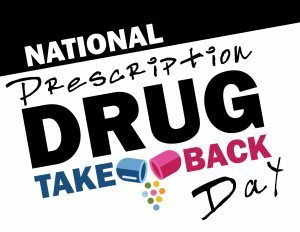 Residents are urged to participate in Prescription Drug Take-Back Day. It’s for people to properly dispose of unused/expired medications. The City of Greeley offers this program in April and October. More than 668 pounds of prescription drugs have been collected by the Greeley Police Department at Drug Take-Back Day 2018 events. Medicines in home cabinets are susceptible to misuse. Abused prescription drugs are often taken from home medicine cabinets. Don’t flush them down the toilet. Flushed drugs are introduced into the water system. Greeley’s Water Pollution Control Facility meets and exceeds federal, state, and local requirements. The contaminants end up in creeks, streams, and rivers. While there is no evidence these traces pose a risk to human health, scientists find interference with aquatic organisms. Other waste such as batteries, solvents, paints, pesticides and more can be dropped off at the Weld County Household Hazardous Waste Site at 1311 N. 17th Avenue. The site is open every Tuesday and Saturday, from 9 a.m. to 5 p.m.